It is just amazing to me that Christians can be so excited when another person finally accepts Christ as their personal Savior, but then we leave that person alone to flounder around trying to learn what God wants them to know. Generally speaking, no one comes along side of them to help them in their spiritual growth and maturity. They receive little or no discipleship or spiritual guidance through Christian mentoring. Why is that? Well, as long-time Christians we just assume that everyone who comes to Christ on a Sunday morning in our church has probably had a strong church-oriented background of youth and adult Sunday school, sermons, and growth groups on which to base their understanding of what it means to live their life for Christ. And, even if a person is saved either inside or outside of our church, many Christians often feel that they did their part in sharing the Gospel message and now it is up to the newly Saved to find out on their own how to live for Christ daily, i.e., if they think about it all. Sadly, many new Christians have no one to come along side of them and teach them about the Word of God, which is the bread of life. How selfish, unloving, and uncaring can we be? Is this how Christ wants us to act? I don’t think so! Christ, not only expects us to share the Gospel, but He expects us to teach His Word, i.e. the bread of life to new Christians. We know this because before being crucified Jesus Christ prayed to His Father that His disciples would be kept from the evil one as they lived in this world and as they shared with others the Gospel message. 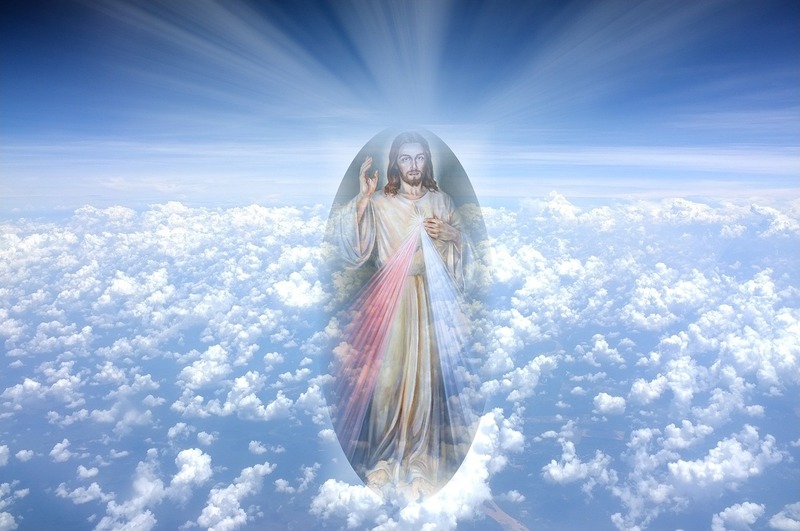 Then, Christ prayed saying to His Father: “They are not part of this world any more than I am. Make them pure and holy by teaching them your words of truth. As you sent me into the world, I am sending them into the world.” -- (John 17: 17, 18. NLT). In other words, Christ wanted His disciples to learn God’s words of truth so that they could share those words of truth with new believers too. Later, it is the author of the book of Hebrews, who succinctly explained the importance of studying, learning, and knowing the Word of God. He said, “For the word of God is full of living power. It is sharper than the sharpest knife, cutting deep into our innermost thoughts and desires. It exposes us for what we really are.” – (Hebrews 4: 12. NLT). It is at the moment of Salvation, that a new Christian becomes pure and holy through believing in Christ as the living Son of God and by obeying the Word of God. Although a new Christian has already accepted Christ’s forgiveness through Christ’s sacrificial death on the cross and His subsequent conquering of eternal death, the new Christian needs to apply God’s Word to his/her life daily for continued spiritual growth and maturity. For, it is the Word of God that has a purifying effect on our minds and hearts. But, how will a new Christian learn the basic principles of the Christian life found within the Word of God without having another Christian step forward to explain these principles to them? Of course, someone who really wants to study the Word of God can dig out those principles over time. However, most new Christians don't feel that they have the time to study the Word of God, so they need Christians who have over the years studied the Word of God and are willing to share what they have learned with them. Christ expects us to be there for the new Christian’s questions, to be there to teach the basic principles of Christian life as established in the Word of God, and to be there to provide encouragement in their new lifestyle of living for Him. Obviously, new Christians will need all the encouragement and knowledge they can get in order to live for Christ. But, in order to encourage or disciple them we have to make a commitment to discipleship and/or Active Relational Christian Mentoring (ARCM), which will provide Christian mentoring and discipleship for the new Christian. However, in order to truly be involved in ARCM Christians will have to give up a little of our personal time to speak into the life of a new believer. All it takes is thirty to forty minutes a week for the first few weeks, and then after that it may only take a telephone call once every two or three weeks to see how the new Christian is doing or to see if they have any questions. However, to help them grow in their faith and understanding of what it means to be a follower of Christ’s, it does take a loving commitment to help in the spiritual growth of the life of a new believer. As committed Christians, we can help them grow by sharing the Word of God with them and by spending a little time with them talking about Christ while we are discipling them. Most of us can recite the Great Commission, but have we ever really thought about the words that Christ used in that Great Commission? First, we should know that there are actually two parts to the Great Commission and each part has two sections. In the first part Jesus said, “Go therefore and make disciples of all the nations, baptizing them in the name of the Father, and the Son and the Holy Spirit,” – (Matthew 28: 19). Within this statement or the first part of the Great Commission, we can all understand that Christ is telling us to share the Gospel message with everyone. We are then told within the second section of this first part that when a person decides to accept Christ as their Savior, they are then to be baptized; signifying to the world that they have been buried in sin but have now arisen to a new life in Christ. Many of us can also recite the second part of the Great Commission where Jesus continued saying: “teaching them to observe all that I have commanded you; and lo I am with you always even to the end of the age.” -- (Matthew 28: 20). But this second part of the Great Commission is where we generally fall down as fellow Christians. Evidently, we simply forget that we are to do more than just tell a person about the Gospel message. For within this second part, Jesus was also stipulating to the disciples and us that we are not to stop with just sharing the Gospel message, nor are we to think that we have done all that Christ has asked us to do when the person finally decides to receive Salvation and then follows through with baptism. Yes, Salvation is a wonderful moment and a time for rejoicing, for someone has given their heart to Christ. But now there is even more for fellow Christians to do. For in reading the second part the of the Great Commission a little closer, we find that Jesus was telling the disciples and us that we are to teach. We are to teach the newly saved to observe all that Christ has commanded, i.e. the principles of a Christian life. In other words, Christ was telling His followers that we are to invest in the lives of the newly Saved, by “teaching” them to live by all the commandments and words that Christ had given to His followers. But in order to teach new believers what Christ taught His disciples and us while He was here on earth, we have to know the Word of God and we have to be able to teach others what it means to actually live for Jesus Christ. Sadly, the teaching part of the Great Commission is what most Christians regularly fail to do after someone accepts Christ as their Savior. Yet, Jesus set the example of teaching others while He was here on earth. He discipled and mentored many people during His ministry. Jesus not only gave us the Great Commission, but throughout His ministry, Jesus gave both His disciples and us examples for teaching, mentoring, and discipling people. For example, in Matthew 5: 1-3, the Scriptures tell us that “When Jesus saw the crowds, He went up on the mountain; and after He sat down, … He opened His mouth and began to teach them …” Throughout the Gospels we are also told that Jesus taught the crowds both with direct words and with parables – (See Mark 4: 2). Indeed, Christ was constantly discipling or mentoring those who believed in Him. Both many in the crowds and Christ’s disciples wanted to be taught. In fact, in one example, the disciples came to Jesus and said, “Lord, teach us to pray …” – (Luke 11: 1). Obviously, both the disciples and Christ recognized the importance of His teaching the disciples. And, even though Christ is back in Heaven with the Father, as Christians we too know the importance of knowing God’s Holy Word so that we will know how to act and behave in living for Christ. Teaching, through discipling and mentoring, is exactly what Christians must step up to do if we want our newly Saved brethren to know how to live for the Lord. We must inspire others to read the Word of God, we must show them the importance of communicating with the Lord through prayer, and we must teach them how to quietly listen for the words of our Lord. In the Psalms, King David wrote several songs that spoke to his and our need to be taught by the Lord. In one Psalm David wrote, “Make me know your ways, O Lord; Teach me Your paths. Lead me in Your truth and teach me, For You are the God of my salvation; For You I wait all day.” -- (Psalm 25: 4, 5.). But, for the Lord to teach us, we have to be able to communicate with the Lord and be willing to listen for His instructions. 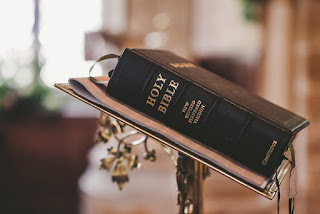 However, without guidance and direction from long-time fellow Christians who have studied the Word, new Christians may fail to understand the importance of not only praying but also fail to understand the importance of reading the Word of God wherein God’s Word becomes their bread of life. The lessons found within the Word of God and learned through our communicative prayer with God, teaches the newly Saved and reminds the long-time Christian how to walk daily for the Lord. It is also in the Psalms that we learn that King David continued to ask for God’s guidance throughout the years. In his Psalms David also shows us that we, too, need to ask for God’s guidance on a daily basis. In fact, in one Psalm David wrote, “Teach me the way in which I should walk; For to You I lift up my soul. … Teach me to do Your will, For You are my God; Let Your good Spirit lead me on level ground.” – (Psalm 143: 8, 10.). Notice that besides wanting to learn how to live for God, that David spoke of God’s Spirit whom we know as the Holy Spirit. As we know, all Christians receive the indwelling of the Holy Spirit upon our Salvation, but new Christians often need to be taught what it means to listen to the Holy Spirit as well as how important it is to allow the Holy Spirit to lead them. This is something new for them and they need the assurance that what they are hearing is indeed from God. There are so many things that new Christians need to be taught about God and His Word. That is why new Christians need discipleship and/or the guidance of a mentoring Christian to help them grow spiritually in their new relationship with God and His Son, Jesus Christ. Moreover, it is by listening to the Holy Spirit, who guides all believers into paths of righteousness, that new Christians can learn how to live righteously for the Lord. Yes, all Christians have been cleansed of their sins and made righteous before God with their Salvation. But because we live in a fallen world that embraces sin as nothing more than happiness of self and the determination to seek self-happiness at all costs, Christians need the indwelling of the Holy Spirit to guide them into continued paths of righteousness here on earth. So, as cleansed and saved Christians, Christ has given all of us the Holy Spirit to remind us and guide us in doing what is right and to guide us into making right decisions in our lives. In doing so, the Holy Spirit provides us with godly wisdom and advice, along with the desire to love our fellow man. Although Salvation has cleansed us and given us the desire to be righteous, we often do not yet have a firm foundation for living a righteous life. To get that firm foundation, we need to study the Word of God, then pray, and meditate upon the Scriptures of the Word of God; hiding the Scriptures in our heart. These Scriptures are the bread of life on which we are to live for Christ. We also need to follow the guidance of the Holy Spirit. But in sometimes Christians also need Spiritual guidance mentors to help them grow in knowledge and godly wisdom. In other words, we may need another Christian to come along side of us and help us to understand certain things within the Bible that may be confusing or to help in discerning the meaning of a certain Scripture for our life. Christians may also need help at certain times in staying on the right track. A Spiritual guidance mentor can help both long-time Christians and the newly saved Christian to better understand the Word of God and to stay on the right track. Spiritual guidance mentors are Christians who study the Word of God, pray, and closely listen to the Holy Spirit. They are able to help people discern or understand certain Scriptures within the Word of God, as they spiritually discern the direction and guidance they receive from the Holy Spirit. But those that have the ability to be spiritual guidance mentors must also have a desire to reach out and help another Christian. They should also be willing to be a sounding board and be willing to help the mentee, i.e., the new Christian, to make good decisions based upon the Word of God. Throughout the Newer Testament, we often see believers stepping forward to help new Christians and to be that spiritual guidance mentor that the new Christian needs. For example, in the book of Acts, we are told about Barnabas, whose name means “Son of Encouragement”. Barnabas came along side of Saul/Paul after his conversion to help him and to later vouch for Paul to the apostles. Later after vouching for Paul, Barnabas went together with Paul on their first missionary journey. (See Acts 4:36; 9: 27- 29; 13:1-2.). Barnabas also taught Paul what He knew about Christ from his close association with the apostles. However, later Paul was able to return the favor, so to speak, by teaching Barnabas things that the Lord and the Holy Spirit were teaching Paul. Notice how that works. We need each other. Moreover, we are all a work in progress for the Lord. That is why we need to not only stay in the Word, listen to the Holy Spirit, pray, and meditate on the Word, but we also need to have spiritual Christian mentors and friends who will help keep us focused on Christ and living for Him. Discipleship and Christian mentoring (ARCM) is very important for all Christians, but especially the newly Saved. That is because it takes time to spiritually grow and mature in our life with the Lord, and we often need help in growing spiritually. The Apostle Paul admonished the Colossians saying: “Let the words of Christ, in all their richness, live in your hearts and make you wise. Use His words to teach and counsel each other.” -- (Colossians 3: 16. The Apostle Paul, a spiritual mentor, knew the importance of teaching and counseling new Christians about the Lord. He knew that every new believer needed to have another Christian come along side of them to help in their spiritual growth and maturity. They needed to be discipled and mentored. That is why the Apostle Paul wrote: “So everywhere we go, we tell everyone about Christ. We warn them and teach them with all the wisdom God has given us, for we want to present them to God, perfect in their relationship to Christ.” – (Colossians 1: 28. NLT). Notice that first Paul warned people that without Christ they were doomed to eternal death and separation from God. But once a person was Saved, Paul continued to “teach” them or mentor them “with all the wisdom God has given us.” We too, can teach the newly Saved, using all the wisdom that God has given us, through our studies, our prayer time, our meditation, and from our time listening to God. The New Living Translation Study Bible gives a footnote on the word “perfect” used within the above verse. The NLT Bible’s explanation is that the word “perfect” means “mature or complete,” not “flawless. So, that means that Paul was stating within this verse that he wanted to see each believer mature spiritually so that they could be presented to God mature or complete in their relationship with Christ. Teaching new believers and helping them to mature spiritually is part of the responsibility of long-time Christians (that is those Christians that have worked at spiritually growing and maturing, whether it has been five or fifty years of living for Christ). It is also the responsibility of the spiritual guidance mentor. As we pursue intimacy and spiritual maturity with Christ, Christians need to also come along side of new Christians to speak God’s truth in love and to encourage them to grow in the knowledge of God and His Son. Sharing our knowledge and speaking words of truth in love encourages each of us to become “… more and more in every way like Christ, who is the head of His body, the church. Under His direction, the whole body is fitted together perfectly. As each part does its own special work, it helps the other parts grow, so that the whole body is healthy and growing and full of love.” -- (Ephesians 4: 15, 16. NLT). Discipleship and the spiritual guidance of a new Christian through Active Relational Christian Mentoring (i.e. the coming along side of a person to teach and share from the Word of God and to share what Christ has asked us to share) is necessary for the growth and maturity of new Christians. Certainly, speaking words of truth from God’s Holy Word can guide all of us toward maturity in Christ. Isn’t that what we are supposed to want for all Christians – maturity in Christ? Let’s all reach out to new Christians in Christian love to teach them what it means to be a disciple or follower of Christ. Reaching out in discipleship and Christian mentoring can make all the difference in the world to a new Christian. It will not only teach and show them the importance of learning about God and His Word, but it will encourage them at a future date to reach out and disciple or mentor another newly saved person. You can do it! You can reach out to disciple or to spiritually guide another Christian through ARCM. You just need to listen to the Holy Spirit, keep your eyes open for a new Christian that you can help either within your church or workplace. Offer to befriend them and then offer to share what you know about the Bible. Most new Christians are hungering for the Word of God. They want to know how to live this new life that they have been given. In fact, this is a golden opportunity for Christians to reach out and disciple or mentor a new Christian. If you want to learn more about Christian mentoring, read my book: The Three-Strand Cord of Active Relational Christian Mentoring. You can get the book through Amazon, Barnes and Nobel, Christian Faith Publishing Company, iTunes and Google play.